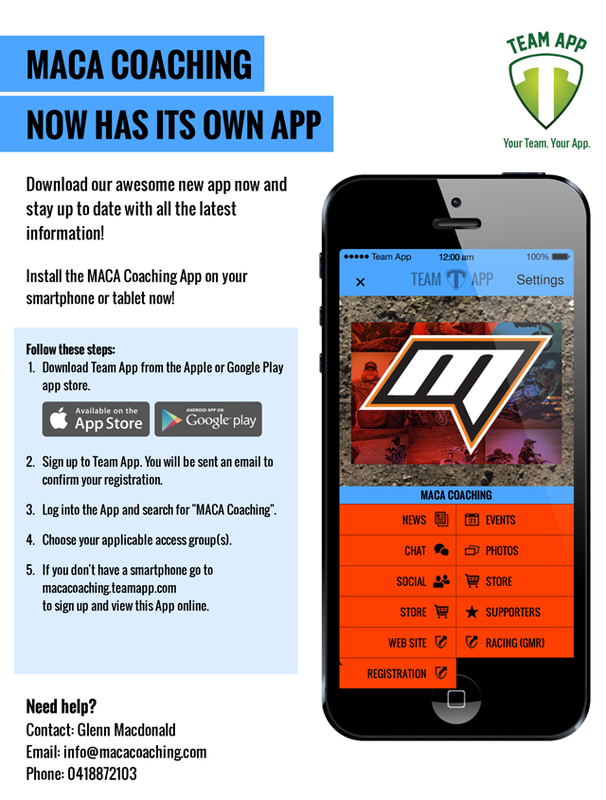 Glenn Macdonald, Principal Coach and Director of the Motocross Advanced Coaching Academy is pleased to advise that a Smartphone App is now available for MACA Coaching, an initiative which aims to keep both existing and potential clients informed of course dates and information. MACA Coaching continues to provide high level coaching services nationally to a wide range of clients, including some of Australia’s most promising talents, “It’s been extremely busy and we cannot thank you enough for your continued support” says Macdonald. 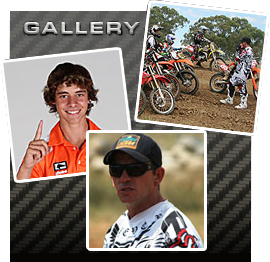 Exciting events coming up for MACA Coaching also include a Supermotard 2 Day School as well as the Far North QLD Development Series where Macdonald provides a full day of MX training, followed by race day mentoring across a four round series in the Cairns region. A full list of dates being held across Australia is available at www.macacoaching.com/dates. MACA Coaching schools continue to book out, often with waiting lists to enter. Cleints are reminded to ensure that you book in early to avoid disappointment. To help keep everyone informed, MACA Coaching will be trialling a new initiative and extend an invitation for you to be involved and provide feedback. 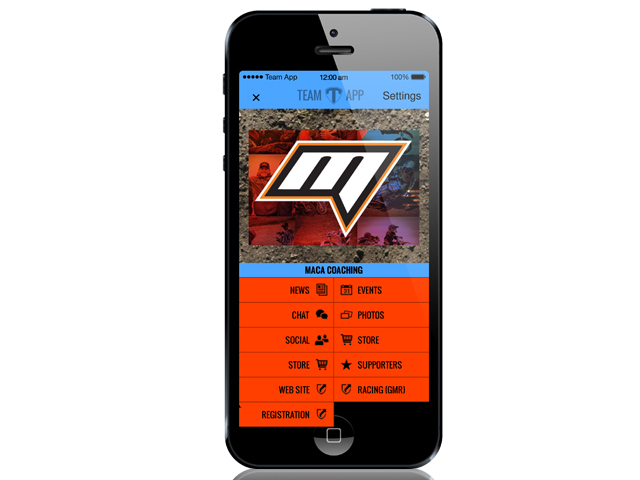 MACA Coaching now has a Smartphone App! It'll keep you up-to-date with our news, events and more. Launch Team App and search for MACA Coaching. 2. Search for our App and request access to group(s) that apply to you (MACA Coaching Clients). 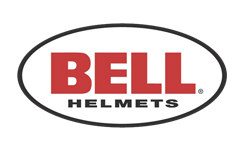 We look forward to your feedback, which can be emailed to us or entered into the feedback chat room via the App.